Are you a vapor and want to help? Donate here! Already a member and want to help some more? KEEP UP THE PETITIONS, CALLS AND EMAILS!!! 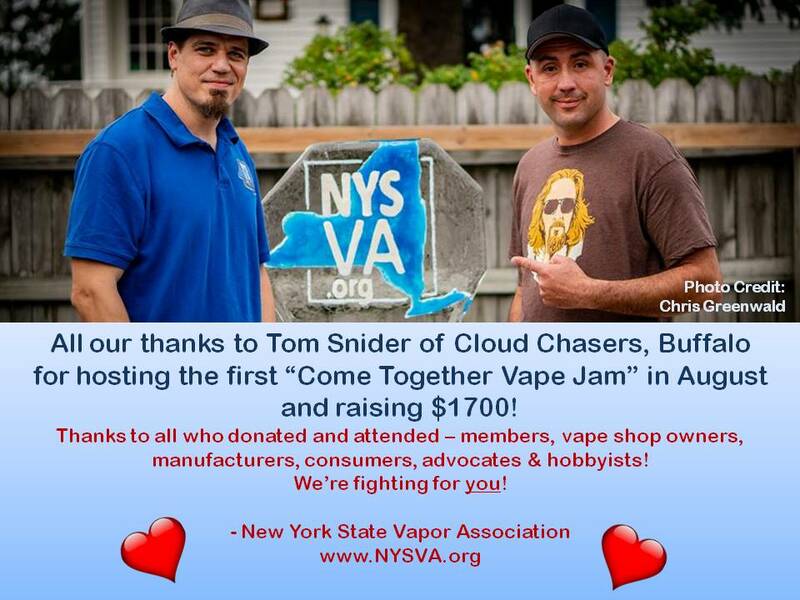 NYSVA's mission is to save vape shops in New York and the manufacturers and distributors that supply them. There are 700+ vape shops, with 2700 employees and hundreds of thousands of consumers that rely on their local vape stores to help keep them from smoking cigarettes in the state. Together with our lobbyist, we fight anti-vaping bills and over-reaching regulations that would devastate the state's industry. 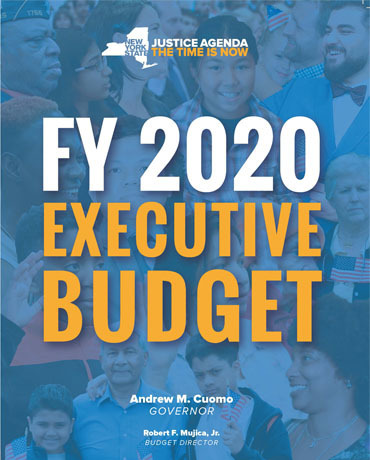 Read more about the benefits of joining the NYSVA. Sept. 12, 2018: Statement from FDA Commissioner Scott Gottlieb, M.D., on new steps to address epidemic of youth e-cigarette use. May 9, 2018: The FDA is moving against vape shops selling to kids, and selling products that look like they appeal to kids. 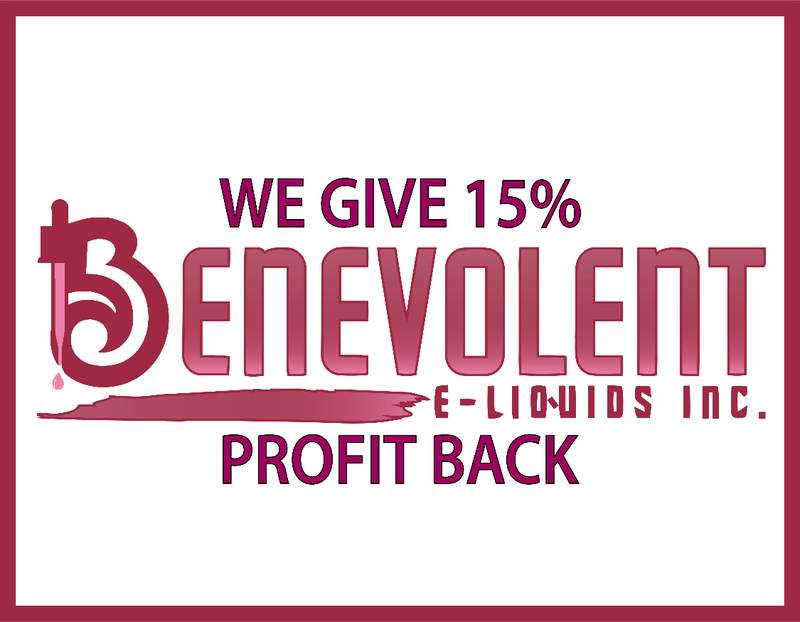 Benevolent E-Liquids introduces a program to help NY! On January 23, 2018, The National Academies of Sciences, Engineering and Medicine released a congressionally mandated Consensus Study Report titled “Public Health Consequences of E-Cigarettes.” By analyzing available research studies, this landmark report shows the potential for e-cigarettes to deliver a positive net public health benefit. About Us: The New York State Vapor Association (NYSVA.org) is the first organization in New York that is run by and dedicated to supporting hard working small business owners with more than 700 New York vapor product businesses, more than 2700 employees and their hundreds of thousands of customers. The board of directors has been advising researchers, legislators, government agencies, and industry stakeholders for 8 years, locally, statewide, federally and internationally.